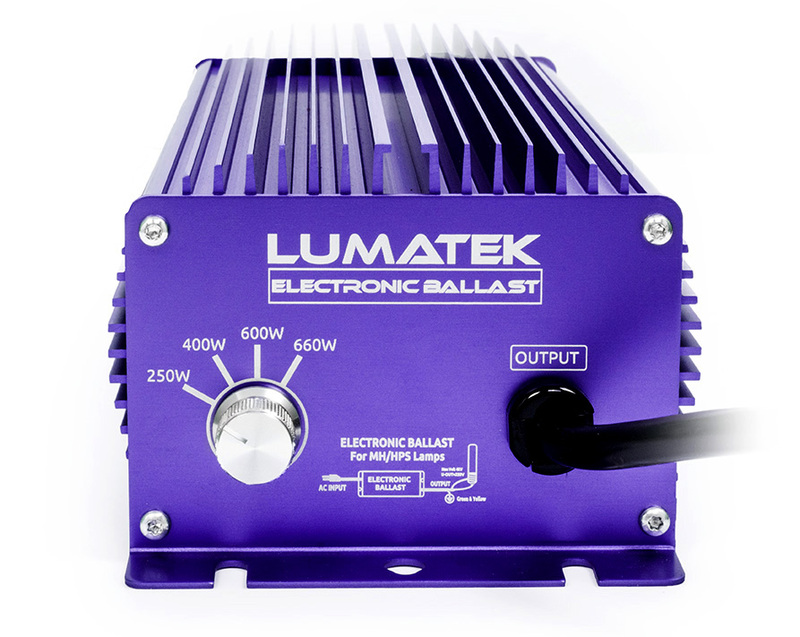 The Lumatek 600W digital ballast provides a stable precise voltage to the lamp creating a higher PAR/PPF output and yet is far more energy efficient than most other ballasts on the market. 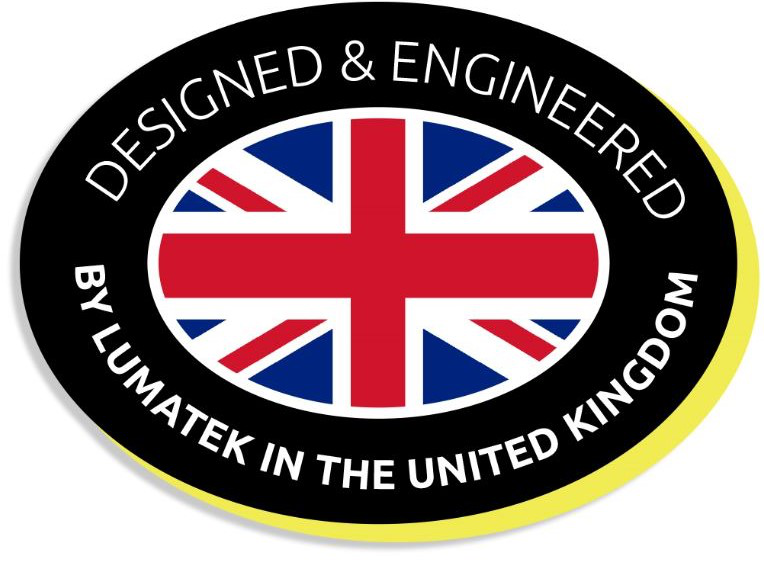 The latest high output 600W horticultural ballasts from Lumatek are designed to give high yeilds of top quality results, year after year. Featuring 4 different settings from 250w to 660W, Lumatek Digital ballasts can be used progressively to give the optimum performance for each stage of your grow and can be used with both high pressure sodium or metal halide lamps. 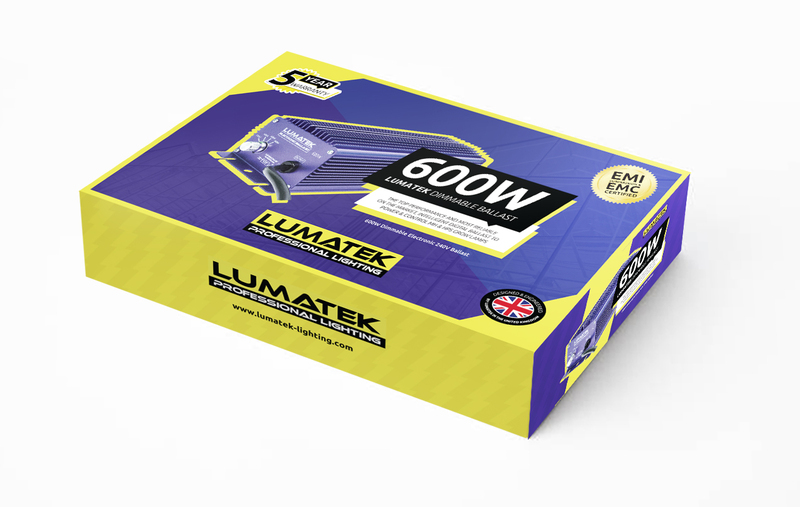 The proven robust Lumatek 600W Digital Ballast uses best quality components and is so reliable it comes with free 5 year guarantee. Featuring intelligent start up and soft-dimming facility the Lumatek 600W runs extremely efficiently generating much less heat than other conventional ballasts and runs silently. 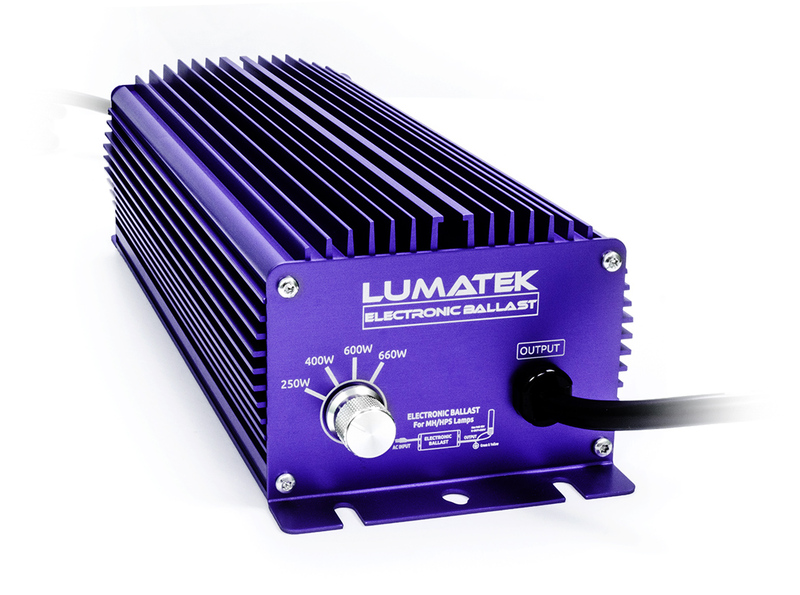 As with all Lumatek Ballasts, the latest Lumatek 600w Digital Ballast uses full circuit protection including open/short circuit, over temperature, over/low voltage, end of lamp life/rectification and EMI suppression. To Light a 600W Lamp; set control to 600W and Boost to 660W or dim down to 400W setting.